Unlike his father Stig Blomqvist, the 1984 world rally champion, Tom found his calling at the racetrack. He soon caught the eye in his rookie DTM season with BMW Motorsport, winning one race and the title “Rookie of the Year” in 2015. 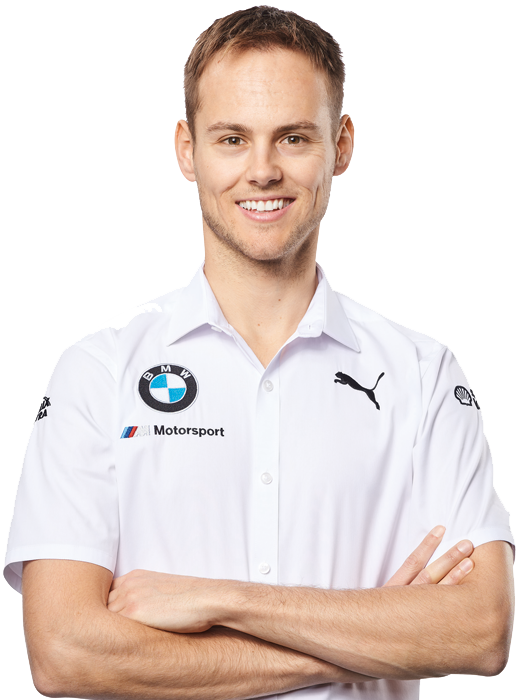 He continued his positive development the following year: In his second season in the DTM, Blomqvist finished on the podium on four occasions and ended the year in sixth place in the Drivers’ Championship, making him the second best-placed BMW driver.